We may live in a digital world, but offline sales still drive the consumer economy. In fact, the vast majority of purchases happen offline through phone calls and in-store visits. To be successful in today’s hyper-competitive world of search, marketers must optimize not only for what happens online but also for these highly valuable online to offline conversions. 75% of smartphone owners turn to search first to address their immediate needs. This means today’s search marketers must understand the desires of search customers, particularly highly convertible mobile searchers. And because 30% of all mobile searches have local intent, mobile search often means local search. Mobile searchers are also more likely to visit a store, call a business, and make a purchase than searchers on other devices. Because today’s path to purchase often moves from device to voice to stores and back again, online, in-store, and call channels should work together. 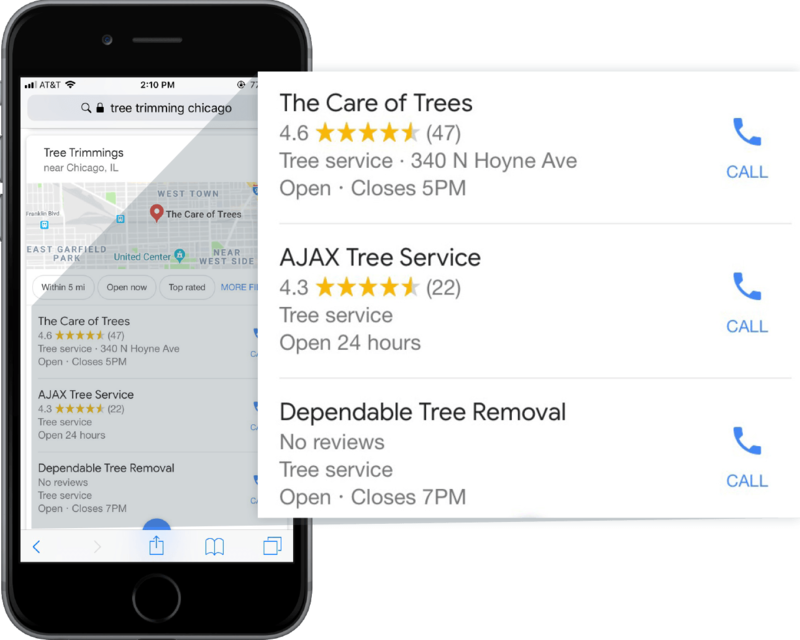 Taking a data-driven strategy for calls and in-person visits—just as you do for clicks—can enable search marketers to drive, more high-quality conversions to store locations and call centers at a lower cost. The following tips will help search marketers drive more high-quality calls and in-store visits that result in sales. Set up targeting to serve ads only to those using a mobile phone within a certain radius around each of your business locations. This very specific targeting will allow you to save on CPL and convert more customers who are immediately in the market for your product or service. Use local phone numbers to signify to searchers that your business is in their city. Include areas where customers are more likely to spend time. For example, if your business is a veterinary clinic, include the local dog parks in your geographic targeting. 77% of shoppers use a mobile device to search for product information while shopping in physical stores. Consider this stat when targeting locations where your customer may be shopping. 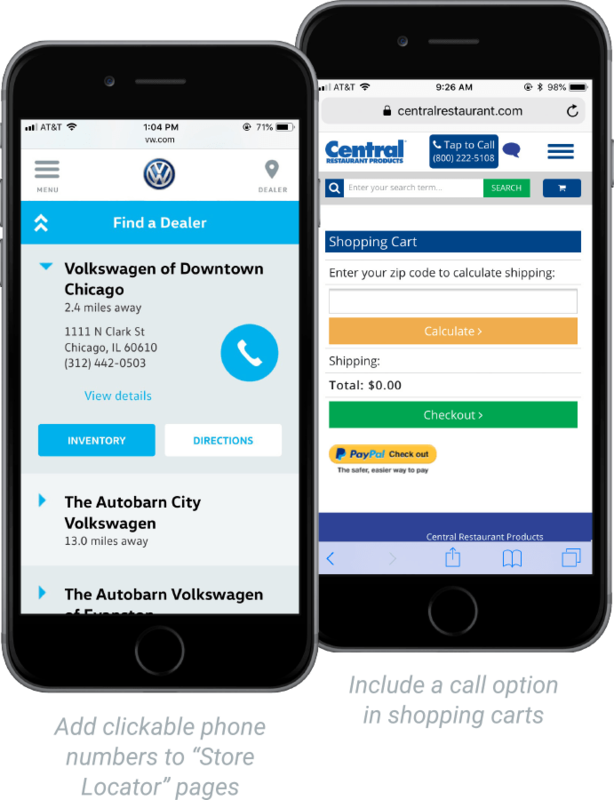 With call and location extensions you can add phone numbers and addresses to ads and drastically increase CTRs. Searchers can tap a button to instantly place a direct call to your business or click to be sent directly to individual location pages on your website. This makes it fast and easy for consumers to call. Set phone numbers to show only during times your business can take calls. Set addresses to show online during times your business is open. Use ad language to incentivize calls and visits. Personalize options to choose what is shown from specific devices when both call extensions and location extensions are being used on an ad. Control how often your phone number appears with your search ads by using call extension bid adjustments. A healthy Google My Business presence can enhance your chances of showing up in Google’s Local Pack, Local Finder, Google Maps, and organic rankings in general. The same holds true for Bing. These tools and ranking groups are evolving together to become less of a repository of available information about businesses and more of a recommendations machine for consumers. It’s more important than ever to optimize content for your brand to rank for local search. Mention specific locations in meta-data, headlines, and content bodies. Write unique, targeted content that provides information relevant to each location. Use images specific to locations. The content can reflect large geographic areas such as countries and states or be focused on smaller areas such as different neighborhoods within a city. A call to a business is a powerful indicator of strong purchasing intent. By making it as easy as possible for consumers to place calls after finding you via search, you increase call conversions and give callers an opportunity to engage more deeply with your brand. By adding phone numbers or call buttons to the most important customer touch points, you provide a fast and easily identifiable way to help consumers call your business. Search marketers have many opportunities to drive more, higher quality offline leads from PPC and SEO. For more tips and a deeper dive into how to drive more calls and in-store visits that lead to purchases, download your copy of our eBook, The Search Marketer’s Playbook For Offline Conversions.